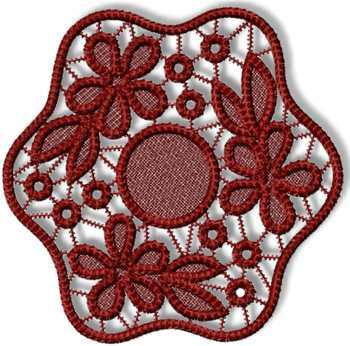 Point Lace is a type of traditional hand-made lace. 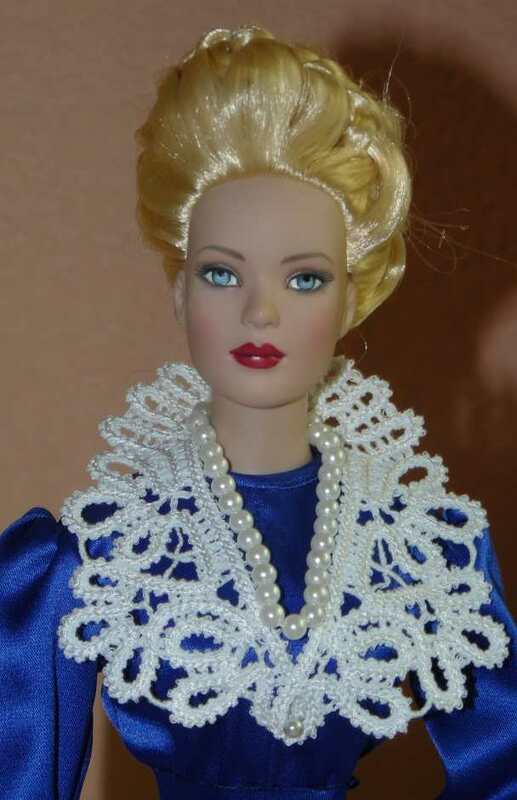 Alternate names include: Romanian Point Lace, Tape Lace Crochet, Braidwork Crochet, Braid Lace Crochet, Macramé Crochet Lace, Renaissance Lace, Romanian Macramé, and European Macramé among others. Like other types of tape laces (such as Battenberg, Renaissance, Luxeuil), it uses a "tape" made of ribbon or cord with the spaces filled in with needle weaving stitches. The distinguishing characteristic of Point Lace is that the "tape" is crocheted from cords, ribbons, or braids. 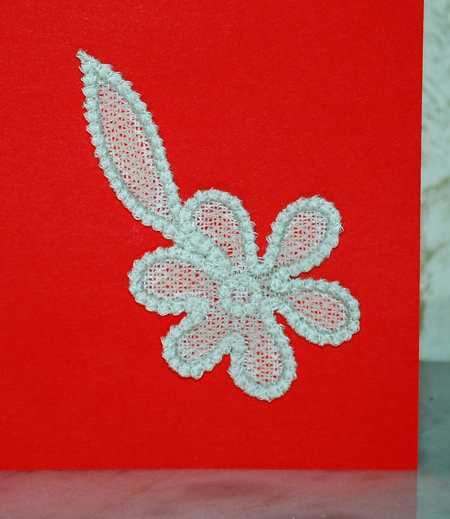 Our designers have managed to imitate the lace in machine embroidery. On this page, we offer you a small design to download and try on your machines. 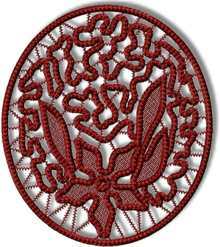 Please read our recommendations for embroidering this type of lace carefully. You can use 40-, 50- or even 60-weight cotton, you can use it both in the bobbin and in the needle. If you use 40-weight cotton thread for the needle, you can use 50- or 60-weight cotton in the bobbin. The drawback of the cotton thread is lint. Please don't forget to clean the machine with a soft brush or compressed air after each stitch-out. Rinsing away the stabilizer is an important step, because the lace can be stretched or distorted if this is done incorrectly. We recommend to use a foam board and stainless pins to help the lace keep its shape. Cut away the excess stabilizer close to the stitches. 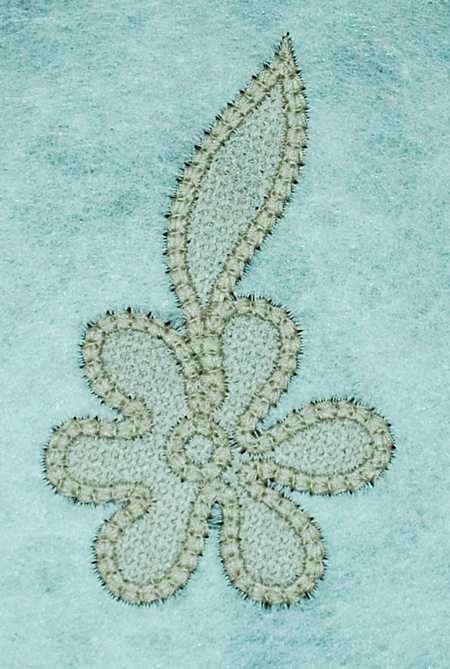 Take your time and carefully pin the lace's outer edge to the board. 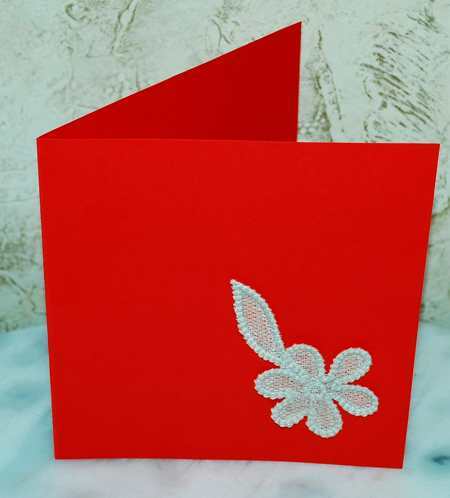 We made a greeting card with this small flower.